Love it! I’ve own many cosmetic bags over the years, but this is the nicest. Bigger than I expected, but it fits my all my palettes! With the way make up is packaged nowadays, this size is perfect. I bought this for our upcoming trip and couldn’t wait to throw all my good stuff in here. 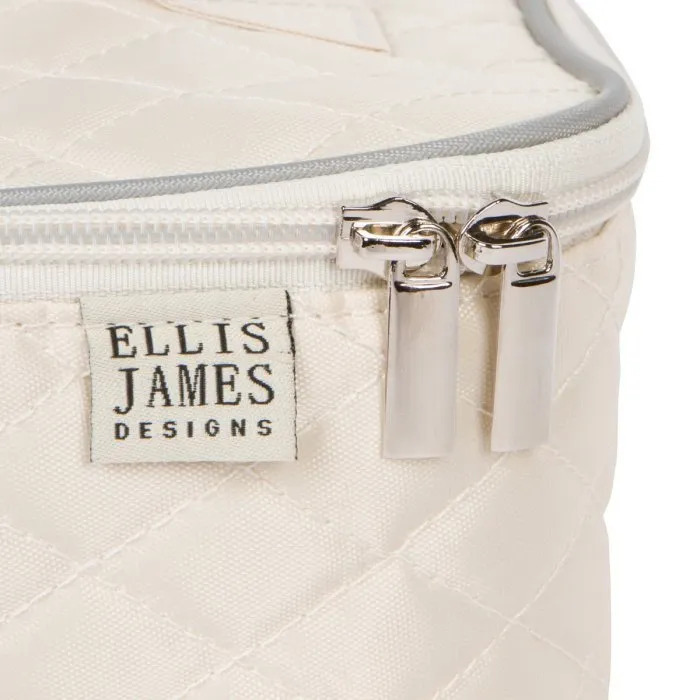 This is the first Ellis James travel bag I have ever had and I love it. 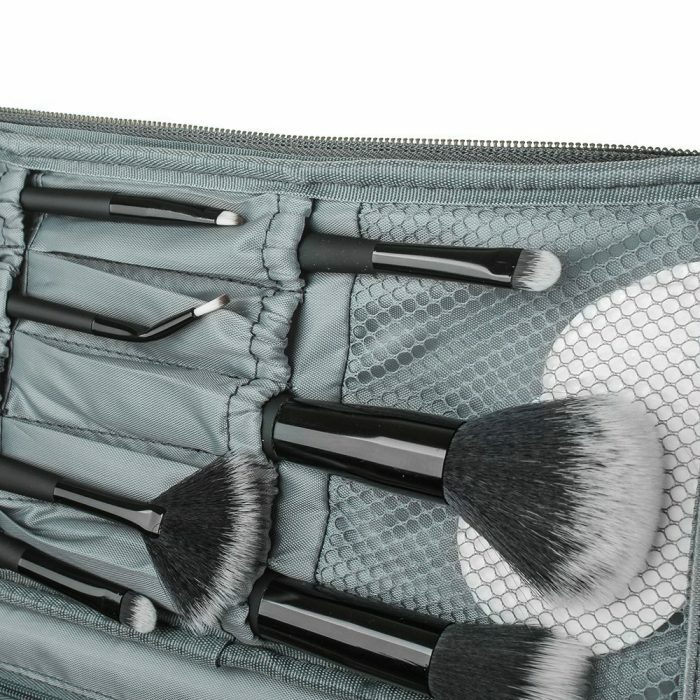 I like that I can see everything in the bag, bottles stand up, brush and comb fit easily, and it wipes clean. I will be buying another. Thank you. Love it! Even my hairbrushes fit easily. Visited my sister just put put everything in one bag. Everything is easy to see! Best one I’ve ever purchased! Good buy! Arrive on time as promised. Excellent condition and material. Just what I was hoping it would be! Size is perfect for my palettes! 🙂 great purchase! Beautiful design. Very convenient and handy. 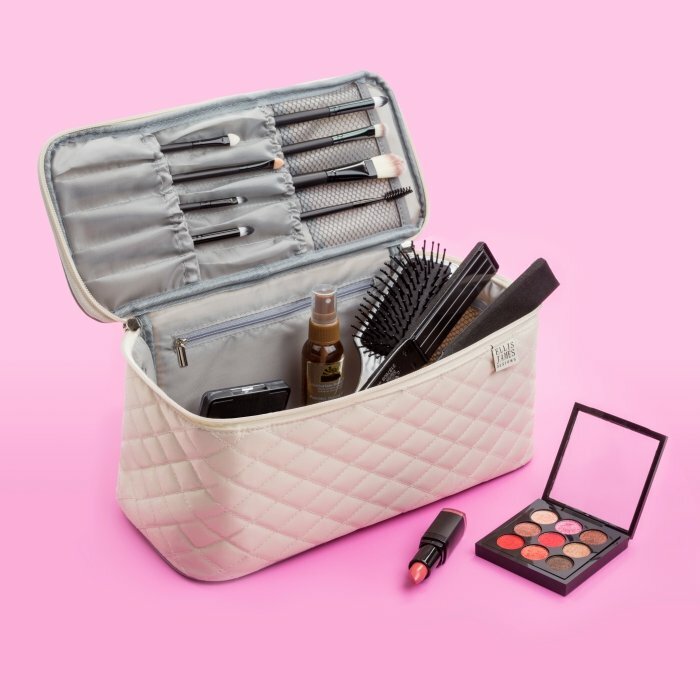 This bag says Travel makeup bag but it is so much more. 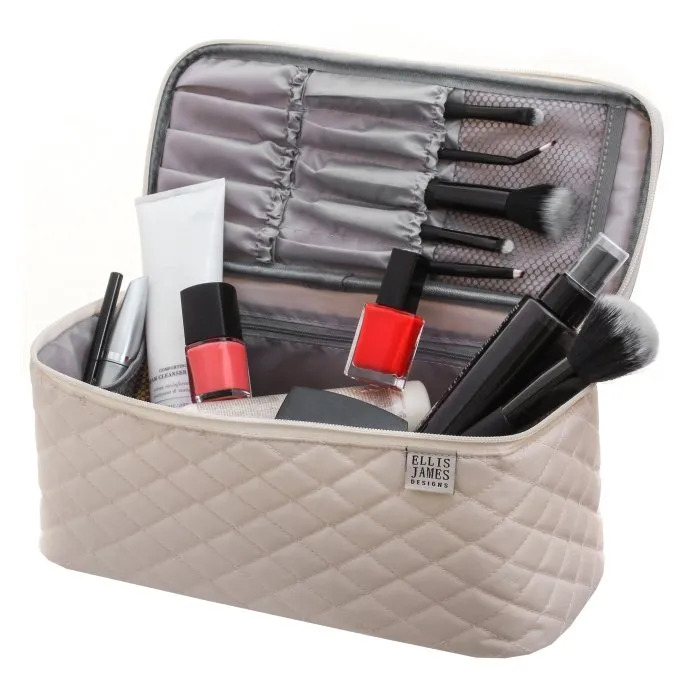 I travel almost every week & have it loaded with all my toiletries & everything fits perfectly! It is also very classy looking & durable. Great purchase!! This bag is exactly what I wanted. Nice and roomy, constructed nicely. 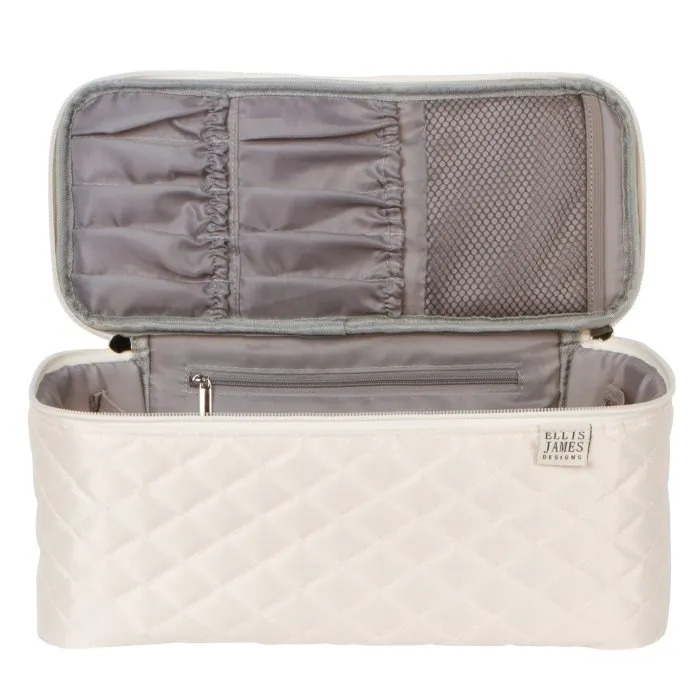 Only thing it could use is a few more pockets inside, but other than that if you’re looking for a big travel case for toiletries, this is perfect.